Ever ate Chutki maach? ……I am sure most of you have not even heard about it, no matter if you are veg or non vegetarian…… Ofcourse, some must have got the smell sometime somewhere…. These are dry fishes. Yes! These are too smelly…..some may feel like vomiting even. But you know what….these are my favorites…. If you give me one Chutki maach item, I can finish even a big thali of rice at one go…. You will not understand the taste until you savor it in proper way. I feel like cooking them everyday, but I don’t. Why? 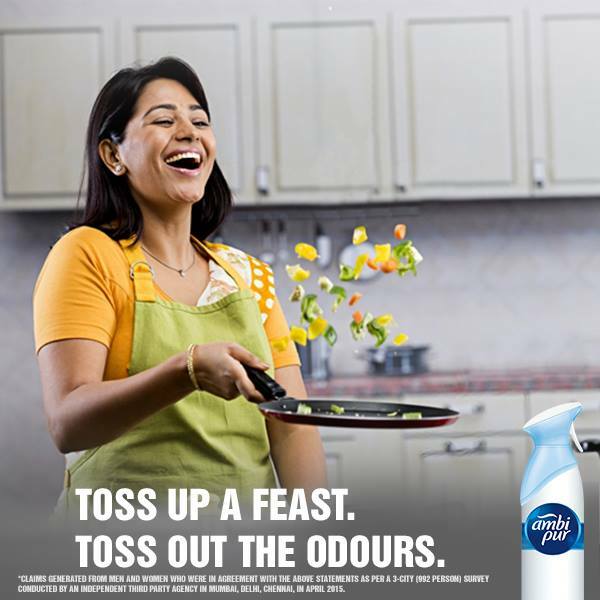 For two reasons….one, the whole house smells extremely bad for many hours after cooking, whether I use chimney or not, and another reason is, don’t feel like giving this smelly smell to neighbors in frequent intervals. No risk of getting threatenings from landlord as this is my own house, but why to develop bad feelings in the neighbours’ hearts? I have a long history of getting complaints from the hostelmates, neighbors, guests, and landlords, but still I can not leave Chutki maach….I tried incense, dhup, agarbatti, so many scented stuff, but nothing can remove the smell from the rooms easily. While I cook it, I cook like a thief….and looking at my schedule properly if any guest is coming to my house next couple of hours. Recently, I was watching one commercial of Ambi Pur Room Freshner which says, “Does not just cover. Truly removes odours.” I thought of buying this product and do some experiment. Last Sunday, my belly and mouth wanted to have this special delicacy. I closed the doors, windows, put on the chimney…..opened the door of fridge, and took out my diamonds….yes…my well preserved Chutki maach. I prepared the delicious Chutki chutney. And, after making it, I sprinkled Ambi Pur in all the rooms. After 10 minutes, I opened the doors and windows. In few minutes, my husband came home from the market and entered with a question mark in his face and asked me what was the smell…..He got a mix smell of Jasmin and some other fresh flowers…. I quickly went to see the Jasmin flower pot in the verandah. But only three small flowers the plant had….I looked at the label of Ambi Pur room freshener……And….I got the answer!!!! A celestial winning smile came to charm my face automatically…… “Yes! I got the product for which I was in search for so many years….not even years, ‘Decades’!! !” Thanks Ambi Pur!!! Now I can eat my favorite Chutki whenever I want!!!! Disclaimer: Vegetarian and Eggetarian…Plz don’t hesitate to enter my house as I am now using Ambi Pur.